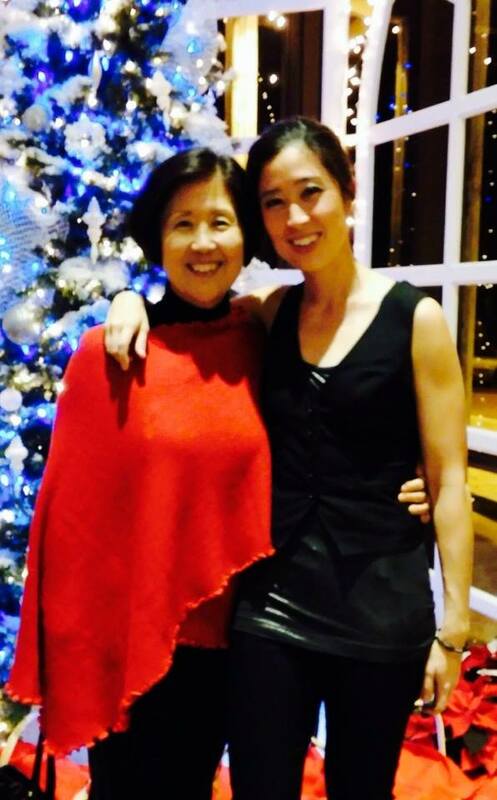 My mother became a very supportive source in my family when it came to our early music training. She nurtured our young love for music. Both my brothers played brass instruments. Oscar plays the trumpet and Ruben played the French horn. Everything was normal and peaceful around the house until we all decided to start practicing at the same time. My mother Carmen, although at times annoyed at the big mesh of sound coming from our bedrooms, waited patiently until practice was over and usually rewarded us with a big tasty meal. We will forever be grateful for her patience and inspiration to pursue our dreams. A mother’s heart and passion to help others can greatly impact and inspire a young daughter. This was my experience in early childhood when “Umma” (Mom in Korean) first taught me the importance of “paying it forward” through benefit concerts and playing for elders in nursing homes. These experiences taught principles and values that have guided me throughout my career. They have compelled me to perform and give classes in places like Ukraine, Romania, Haiti, Dominican Republic & Lebanon. This year I will travel to Nepal to play at a home that cares for children of incarcerated parents. Continuing Sound Impact’s work on behalf of children in Costa Rica with Danielle, Tiffany, Juan and Elizandro, has been a most satisfying fulfillment of the mission which my mom originally instilled in me. Her compassion continues to inspire me to connect and strengthen other hearts through music. 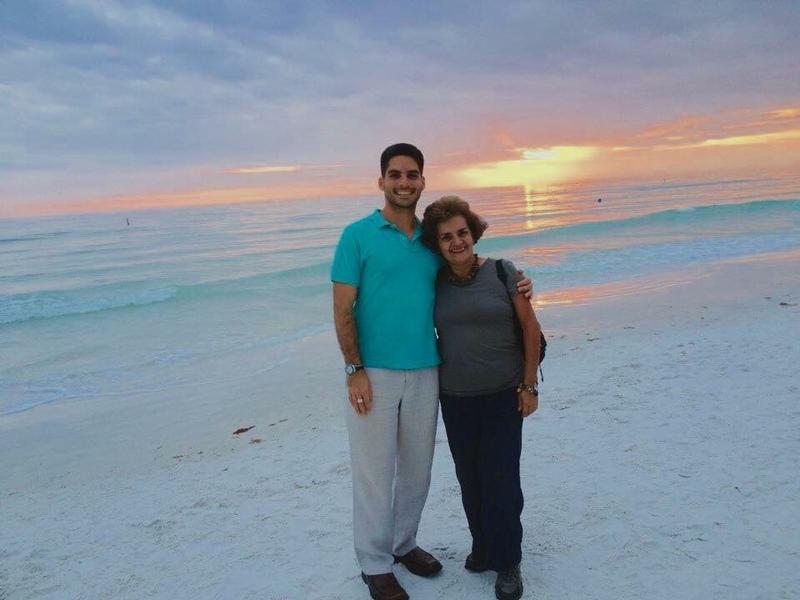 Below: Pictures of each Project Costa Rica Team Member with their mothers. 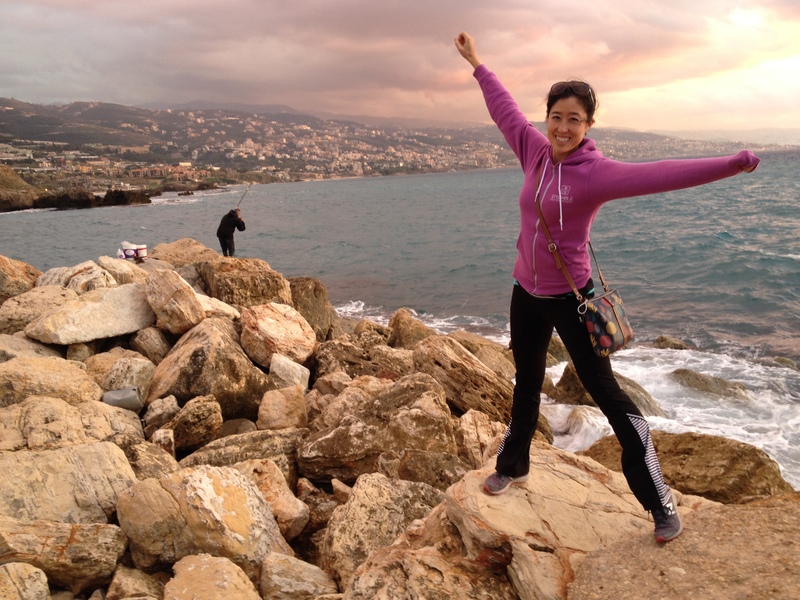 Last month I had the pleasure of visiting Lebanon for the first time. 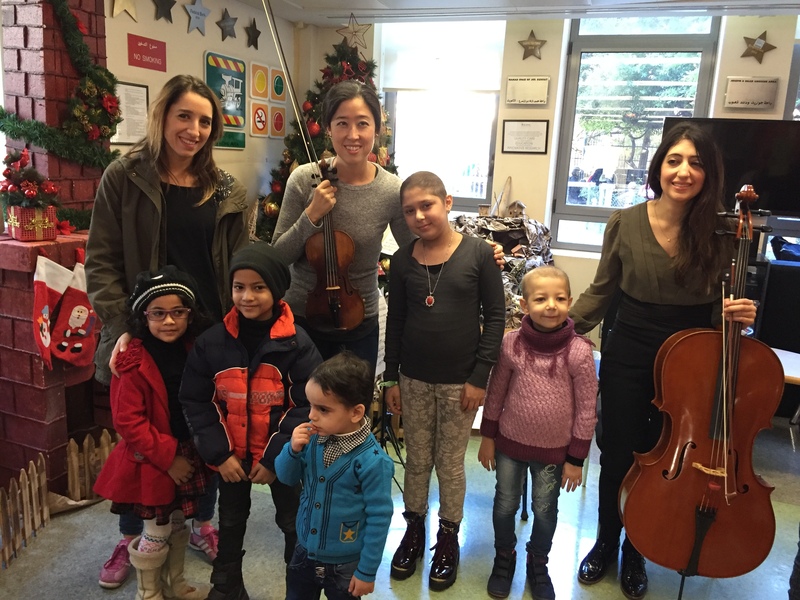 Thanks to three very generous people (conductor Thomas Kim, violinist Maya Maalouf, and cellist Ani Kalayjian), I had the opportunity to perform for a variety of communities during my stay in Beirut. Beirut is both an ancient and bustling modern city, laced with an unending trove of culinary delights and decidedly hospitable people. I attended a beautiful Lebanese Philharmonic Orchestra concert. Surprisingly, they were founded just a few years ago in 1998. Later I explored the ancient port city of Byblos, identified as one of the oldest continuously inhabited cities in the world (5000 B.C.). It felt as though I had stepped onto the most incredible Indiana Jones movie set when we took in Jeita Grotto, two distinct and interconnected karstic limestone caves, coursing nearly 6 miles. 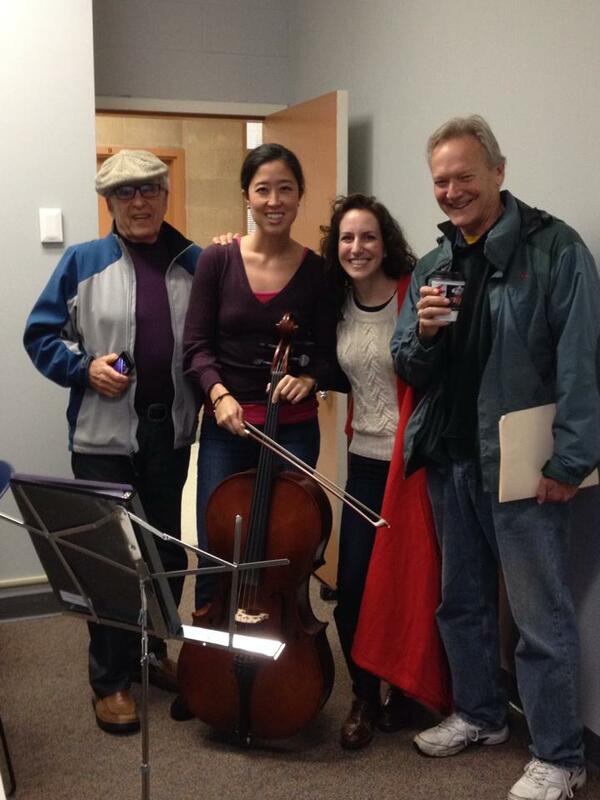 On city streets and in more intimate settings, I learned a lot from meeting scores of people. It was fascinating to hear their many distinct views on a wide range of local and international topics. 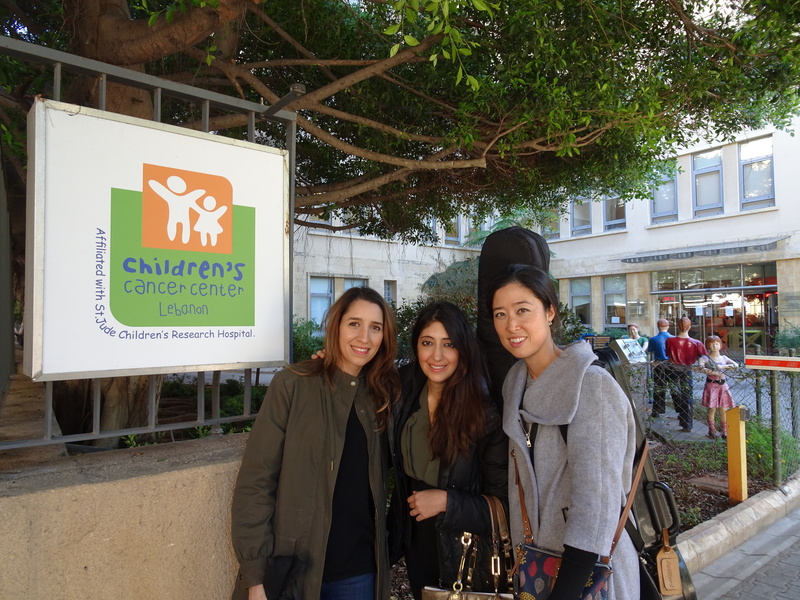 In addition to concerts in the conventional setting of a concert hall, Ani Kalayjian, Maya Maalouf, and I engaged in a musical outreach to Iraqi and Syrian refugee children at Insan School and at the Children’s Cancer Center of Lebanon (affiliated with St. Jude’s Children’s Research Hospital). A particular encounter stands out among all the others during my 8 days in Lebanon. One child at the Cancer Center made the strongest impression on me. The center itself is a very warm and inviting place, full of bright, happy colors and engaging artwork that adorns the walls. First, we performed in the lobby area for a group of rather shy children, their enthusiastic family members and caretakers. Next, we gladly agreed to perform for another group of kids restricted upstairs due to the intensive nature of their treatment. Maya Maalouf, Rebecca Jackson, and Ani Kalayjian with the kids in the lobby of the Children’s Cancer Center of Lebanon. There a beautiful and tiny girl connected to a machine caught my eye. She was standing next to someone I took to be her father. The child’s eyes were dark, staring intently as we spoke and performed. Her gaze was utterly serious. She never smiled. Did she even blink? So small and only 2 years old, her posture and demeanor made her seem an entire lifetime older. 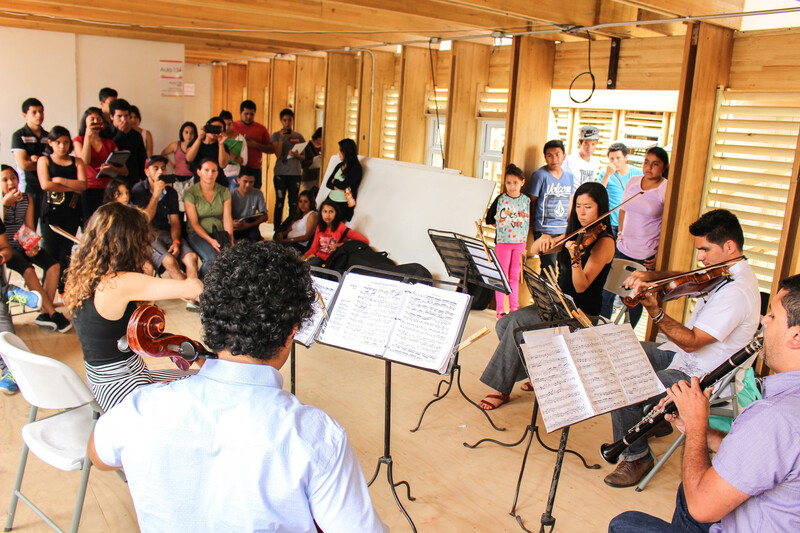 After our prepared performance, each musician broke off and began to interact one-on-one with the kids. I went directly to the little girl connected to a machine and tried everything to get her to give me even a tiny smile. Without words, we began playing a duo together. This consisted of my plucking one of the violin strings and then she would pluck the same one after me. Back and forth we plucked. Her father and the staff joined me by cheering and applauding for her. Though I was not rewarded by seeing her smile, how wonderful to share music with her. I will never forget our meeting. Music brings light, beauty, poetry, understanding, connection and caring, all vital to a world that often seems so dark and unfair. I am reminded of my mentor, David Arben. For a man who lost his entire family during the Holocaust and survived unfathomable horrors, violin and music were everything to him. This became his family, his hope, his peace. Literally, it saved his life. What an honor, the life of a musician. I cannot ask to make a greater contribution. We bid 2015 farewell and we the co-founders have so much to be thankful for. Looking back on our year, we are tremendously thankful for YOU, the incredible supporters, sponsors, and collaborators who have been a huge part of bringing music performances, education and inspiration to many corners of the world. This Spring we completed our first educational residency at The Arts Center in Carrboro, North Carolina where we presented our interactive program “Shall We Dance?” to 2,000 students ranging from ages 7 to 14. We also had the pleasure of returning to Costa Rica, teaching and inspiring children all over the country. We had the joy of reconnecting with old friends and also visiting new communities. Thanks to donations from friends in Washington D.C., Santa Cruz, Pittsburgh, Chicago, Santa Fe, and Sarasota we were able to deliver a large number of supplies to all the schools we visited. 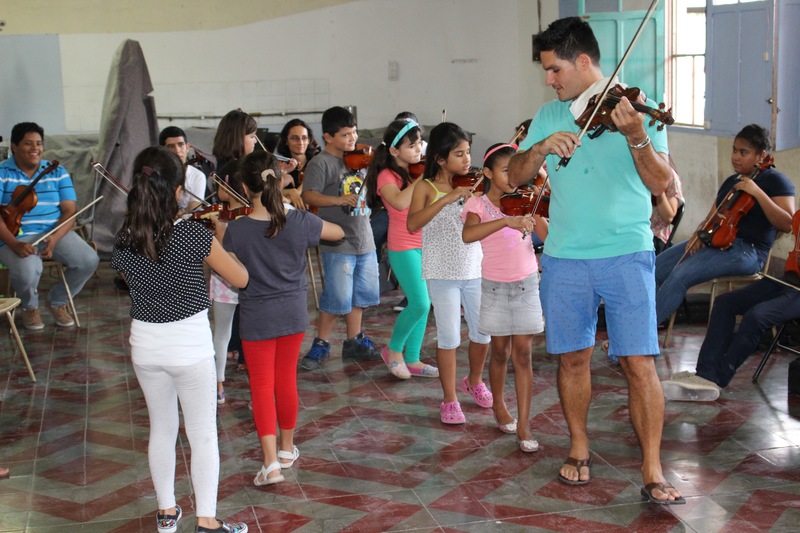 In Costa Rica we visited the cities of Perez Zeledon, San Jose, San Ramon, Acosta, Liberia, and Monteverde, where approximately 1,000 students each received 5 hours of musical instruction from members of the clarinet quintet, followed by a community wide performance by Sound Impact. 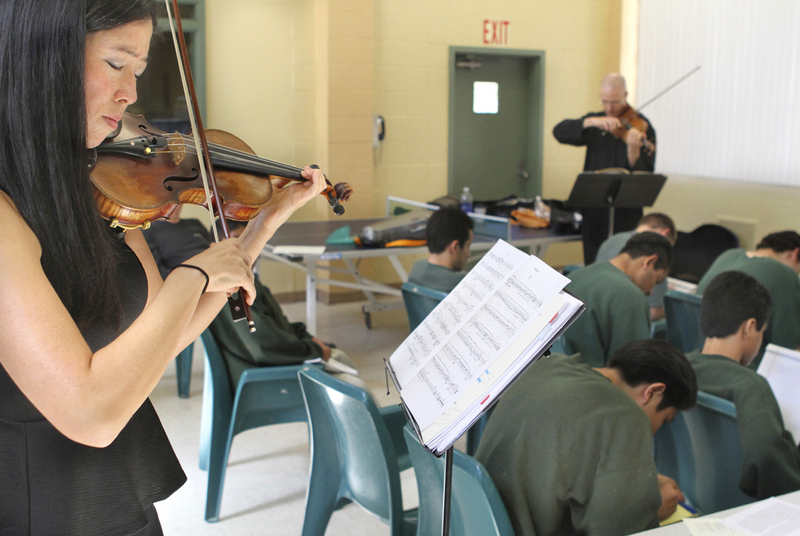 We celebrated our inaugural Project Imagine, a musical oasis for over 20 incarcerated youth, a residency that spanned three days of interactive and educational performances. To read more about Project Imagine, visit the SANTA CRUZ SENTINEL. THANK YOU to each and everyone of you for believing in the power of music and partnering with us to impact communities locally and beyond! All our best to you and yours for a wonderful holiday season. 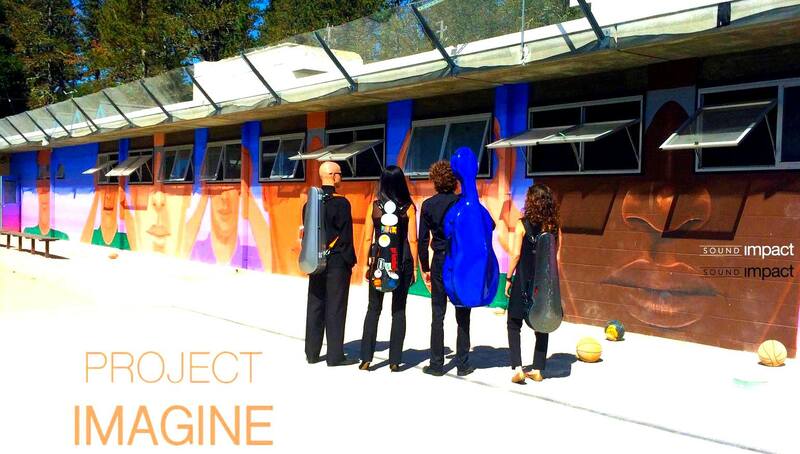 The inaugural PROJECT IMAGINE residency (September 29 – October 2, 2015) consisted of three two-hour sessions where members of the string quartet performed duos, trios and quartets. This blog has 3 parts: team members reflect on this very special journey, project sponsor David Kaun describes his experience attending the final session of our residency, and the youth express their thanks. Following a summer of preparing the curriculum for our 3-day residency, I set up a meeting to go over the content with Jennifer and the teachers. We wanted their guidance and feedback, especially regarding the interactive activities. I found out that a seemingly simple act of sharing or trading papers for writing assignments would not work well in this environment where intricate boundaries, alliances, and rivalries exist. The Santa Cruz County Juvenile Hall separates the youth population into two units and rarely are they combined. In order to give them all the opportunity to enjoy the music program, an exception was made. Another activity that we suggested was to select a youth volunteer to receive a mini violin lesson from me using my violin. Thought was given to which kid might be willing to step out in front of all his peers – one of the boys came to mind. I joined Jennifer for lunch with the youth and she asked the boy to sit next to us. She asked, “Do you remember Rebecca and the music program?” He nodded yes. After a bit of conversation, she asked, “For the program next week, would you be willing to have a violin lesson from Rebecca – and you don’t have to answer now. You can think about it.” Almost without missing a beat and with a bright smile, he said “Yes, I’ll do it.” Jennifer said that on a couple of occasions leading up to our first visit, he pulled her aside to remind her not to forget that he’d like to have a violin lesson. On our first day, tables lined up in the center of the room separated the units and they were brought in methodically, row by row, sometimes individual by individual. There were shifty glances, some with a closed off body language, others came in with a more confident demeanor, many smiles and greetings were exchanged. The Imagine quartet’s attire was purposely Santa Cruz casual: T-shirts, tanks, and jeans. We launched into our program and soon it was time for me to call upon my “volunteer” to demonstrate the basic skill and coordination it takes to hold a violin and bow to play just one note. The boy jumped up. He listened to my step by step instructions very carefully and in a matter of minutes very impressively played my violin. I will never forget his bright and contagious smile. This experience was very emotionally challenging – a reason why our performances within those walls were so powerful. One of the final events was the quartet surrounding the youth from the four corners of the room to perform Barber’s Adagio. In that transforming moment of performance, I felt overcome by seemingly endless tragedies in our world as well as gratitude for this gift of music which allows profound expression and connection even when realities exceed comprehension. The first thing that struck me was how supportive the staff and teachers were in giving the kids’ education equal or better than the one waiting for them on the outside. From the powerful murals, to the chess boards and library, the atmosphere suggested thoughtfulness and commitment. Some kids came into the room willing to connect, others unsure of what we were, and a few were there out of boredom. By the end of the first day, the contagion of interest had spread thoroughly. The interest may have been in us, our weird looking instruments, strange sounding accents, but it didn’t matter. What they ended up with were lessons in music and compassion. There were long stretches of time when the kids were more active in the presentation than us, the presenters. They played, composed, wrote, read, asked and answered questions. But most of all, sat for two hours at a time, and asked for more. Thinking about what we did and how we felt is irrelevant because the kids were ready to respond the way they did. We just happened to provide a stimulus this time. 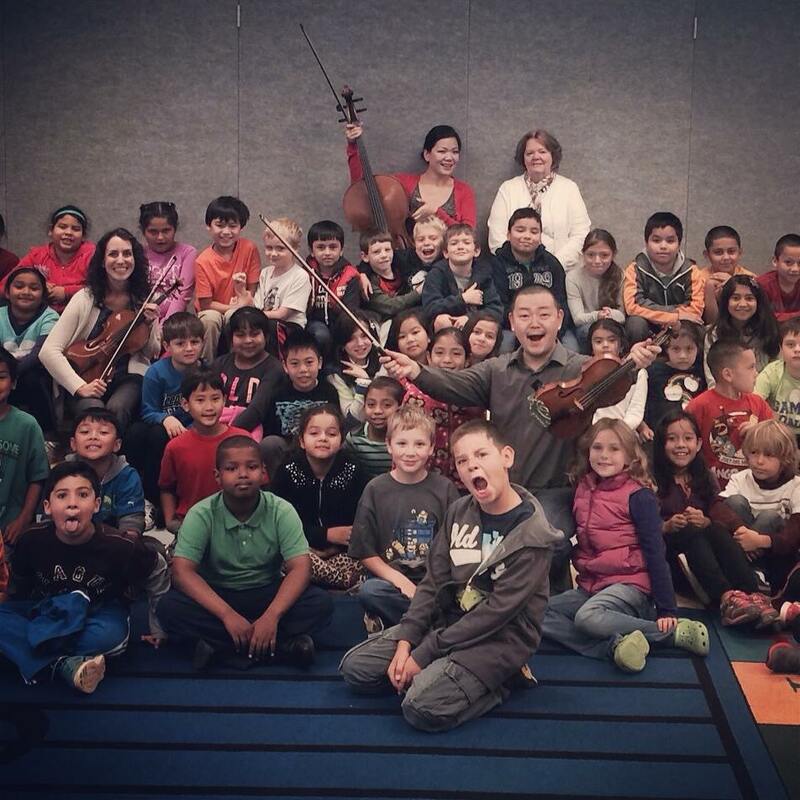 Even though most of the kids were new to classical music, I was amazed and happy to see them so eager to learn about it and tap into their creative minds in response to it. From their writings, I found interesting to see how music affected them in different ways, and how some drew their inspiration from past experiences while others were guided by their imagination. Their willingness to participate grew stronger every moment of the residency. By the end of the third day they had many questions for us and were very eager to compose music for us to play. Those kids are the most enthusiastic, open-minded and responsive audience one could ever hope for and playing for them was an incredibly rewarding experience. 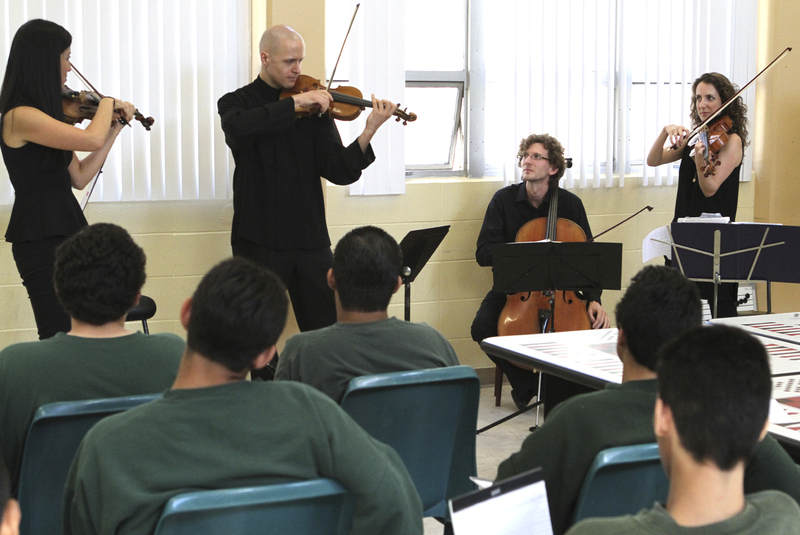 Our time at juvenile hall was truly a gift, a great reminder that we are all just ordinary people, and we can all connect through a shared experience, such as music. It was such a memorable experience, starting off with some slight hesitation from the youth, and ending in an energetic dialogue at the end of the third day. One of my favorite moments was when the youth had the opportunity to “compose” music, by rearranging notes into unique melodies on a magnetic board. They lit up hearing how their notes created beautiful musical lines. 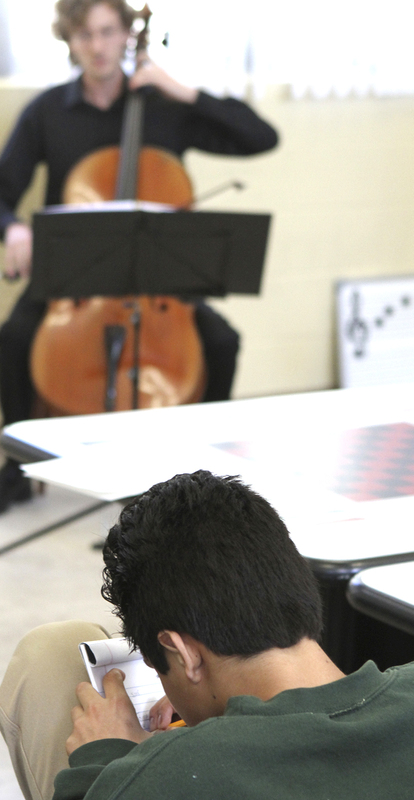 Some of the youth had some exposure to a musical instrument and studies, but this was the first time they had the opportunity to explore music as a form of communication, and see the intricacies and possibilities between musicians. Hearing the poetry some youth wrote was an incredible experience, surprising that they chose to be vulnerable not only in front of us, but amongst their peers as well. The highlight was the final session and culminating performance, the youth reading while we provided a musical backdrop. Even Assistant Director Jennifer Buesing remarked “it feels like Christmas!” The enthusiasm in the room was palpable, and I look forward to our next opportunity to visit the youth. I was asked to let you know about my thoughts regarding this afternoon’s Juvy Hall gig. Actually, it’s close to impossible to do so….words can’t really describe the feeling I experienced during the two hours earlier today: how about #$%^^^^&*^#*%&(++@######$%. Clear enough? But just in case, let me try the impossible. For starters, let me repeat what I said to you as we left Juvy Hall. I don’t think I’ve ever experienced such deep and conflicting emotions simultaneously. The beauty of your music and its so obvious impact on the Juvy kids was really a treasure. I was sitting just a bit off to the side of the older group, and could see both their rapt attention and their instantaneous and honest enthusiastic response to each piece. No question, they were soaking up the beauty and joy of what you were imparting. And just as clearly, I was aware of the fact that these totally handsome young men were soon to return to their normal life. Essentially a life in prison. How can that be? One additional thought. Most if not all of these kids really never had a chance. They came from broken homes, parents whose life experience more than likely also began in the juvy halls of their communities, and associating with equally disadvantaged youth. From day one, their life trajectory was set…with Juvy Hall one of the stops on the way to their own personal hell. For some, probably a minority alas, someone or thing—an experience of real love or beauty—will intrude in a way that changes their direction for the better. There’s no doubt in my mind but that your three day visit to the hall did and will have such an impact. The joy and happiness that you brought to those kids was vividly evident. And the impact will be both lasting and life changing…for some. SOUND IMPACT (www.thesoundimpact.org) is a collective of renowned musicians united in a movement dedicated to serving communities and igniting change through live performance. Founded in 2013, Sound Impact performances have reached hospice patients, homeless families, orphans, music students and incarcerated youth. 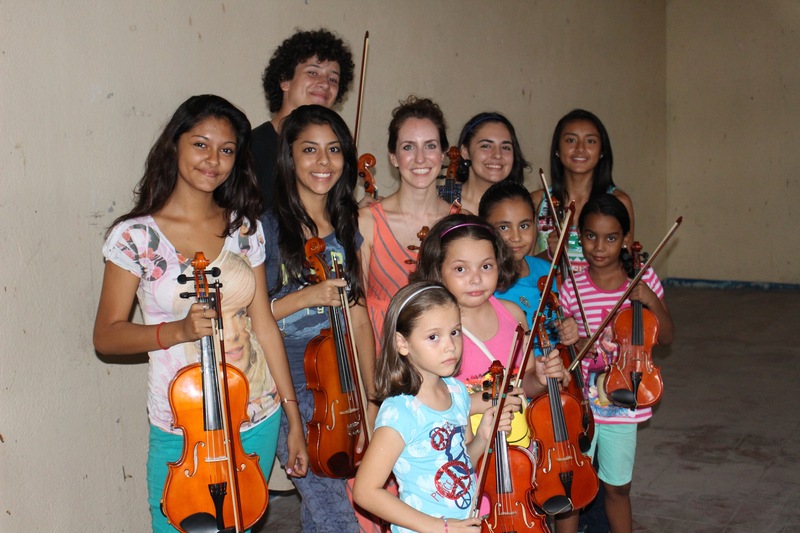 After a successful tour in 2014, Sound Impact returned to Costa Rica this summer. 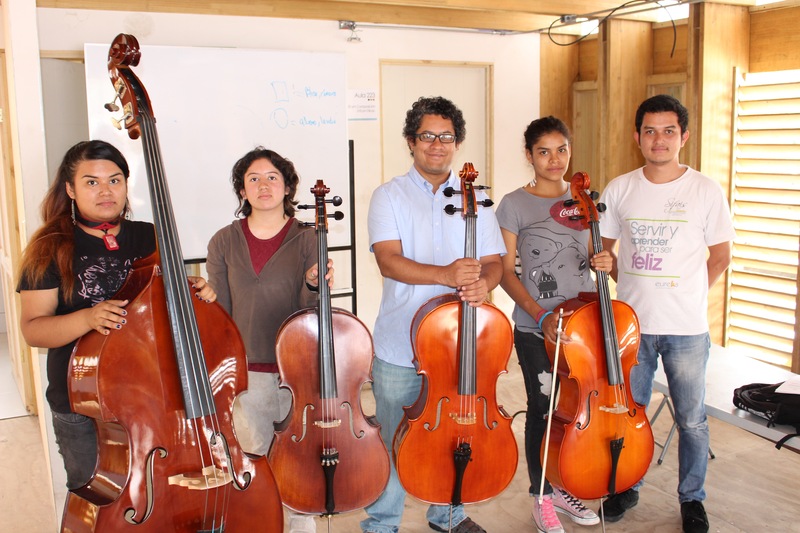 The Project Costa Rica 2015 team included Costa Rican Elizandro García-Montoya, Venezuelans Juan Jaramillo & Horacio Contreras, and Sound Impact co-founders Rebecca Jackson and Tiffany Richardson. 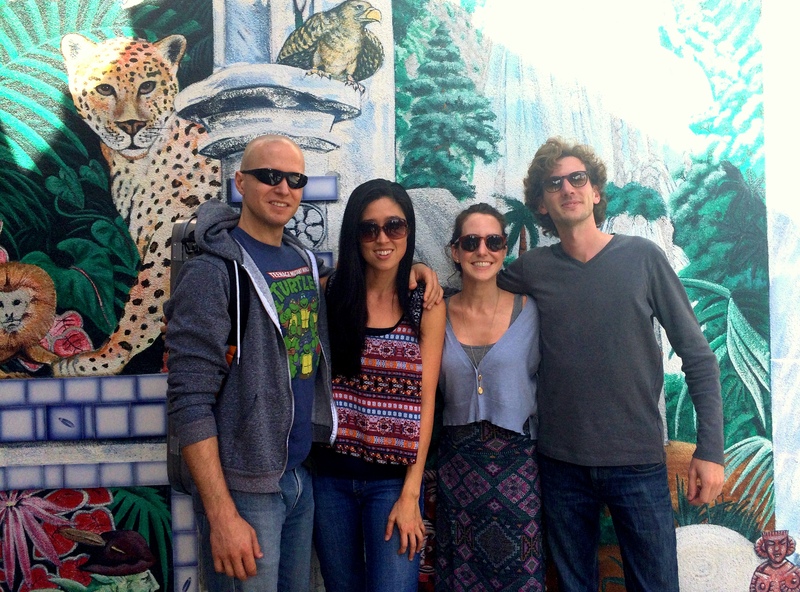 Below are impressions by each team member as they journeyed across the beautiful Central American country. on·o·mat·o·poe·ia [änəˌmadəˈpēə,ˌänəˌmädəˈpēə/], noun, the formation of a word from a sound associated with what is named (e.g., cuckoo, sizzle ). The motivation for our Project Costa Rica tour is different than an average tour. Normally when scheduling, time is planned for proper rest to recoup following long travel and before the concerts begin, there is time for the instruments to adjust to the new climate and ample rehearsal is planned. 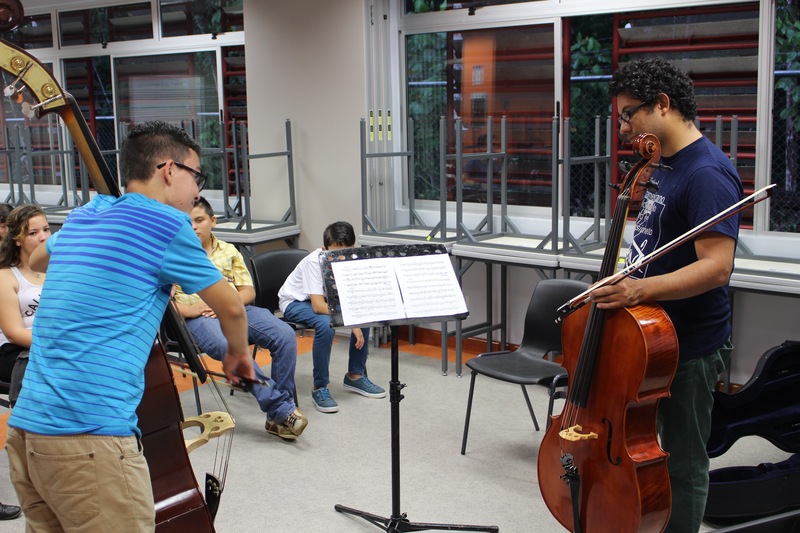 For our 2nd trip to Costa Rica, we wanted to try and accommodate as many stops as possible, especially with individuals like Andrei (21 year old director of an orchestra in the slums of La Carpio) reaching out to us. We were all scheduled to arrive in San Jose on a Friday and have rehearsal, teach our first classes and perform concert #1 within our first 24 hours in Costa Rica. Unfortunately, my flight was severely delayed out of Albuquerque and I didn’t arrive till the wee hours of Saturday morning. The already tight schedule was squeezed even further which made for a very exciting start to tour. We were all exhausted but I distinctly remember rehearsing in a tiny office (the only room with air conditioning!) and everyone was upbeat and excited to see 8 months of preparation for these kids coming to fruition. Not even the volcanic coffee eruption created by Juan in order to caffeinate us could get us down!! For me, Project Costa Rica has been for sure a very special time since it reminds me a lot of my home country of Venezuela, the way I grew up with El Sistema, and how it allows me to give back to the community. Our trip last year reminded me of how important was our visit to come teach, bring donations, perform, and above all, connect with the students, teachers and families that welcomed us. This year, the mission of Sound Impact couldn’t be better justified than our visit to La Carpio! That to me was probably the single most important visit we had in our tour. 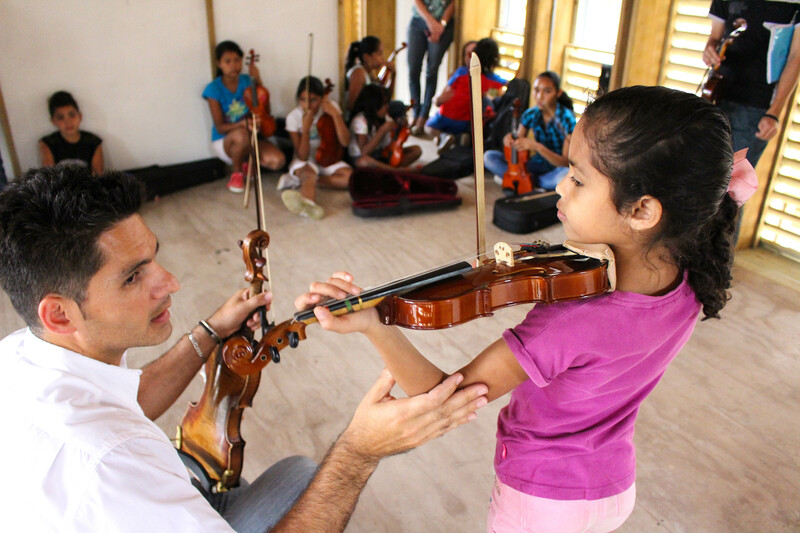 To be able to reach out and help one of the poorest communities in Costa Rica primarily with the power of music, is something literally priceless. I really hope that we can go back next year to follow up with students and schools, to keep reaching out and helping new locations, and to continue performing live for children and families all over Costa Rica. It’s hard to believe we were in Costa Rica less than a week ago. The culture and energy throughout Costa Rica is so different than that of home, and such a wonderful thing to be immersed in during tour. It’s truly a privilege to visit and work in an environment and culture that truly embraces music and celebrates life in such a palpable way, no matter how dire the economic and social circumstances can be. This year’s trip was incredible for many different reasons, but one aspect that stood out to me was revisiting students we met last year. It was a wonderful experience to reconnect with these students, and see the progress they’ve made over the past year. Even though we spend a limited amount of time at each school during tour, I could feel that the students valued the time we had together. And I am grateful for the time we had this year to expand on what we began last year. Even though it’s been a year, there was a feeling of continuity, and especially at SINEM Liberia, I had the chance to see some older students as they were guiding the new young beginners. 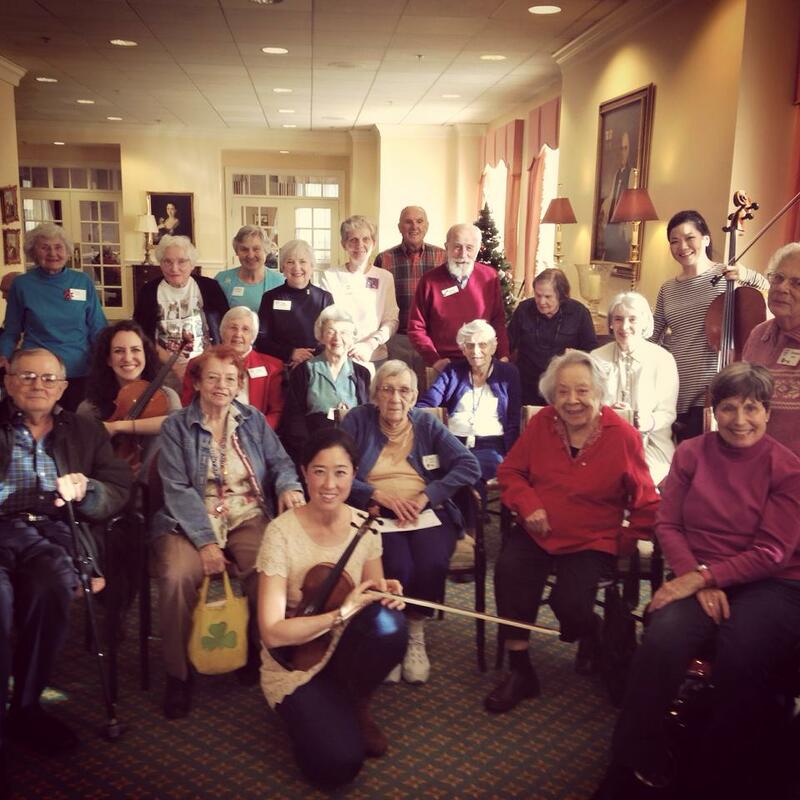 I love that the SINEM program fosters this relationship between the older students and the beginners, and I was happy to have the chance to help this process with the violists. 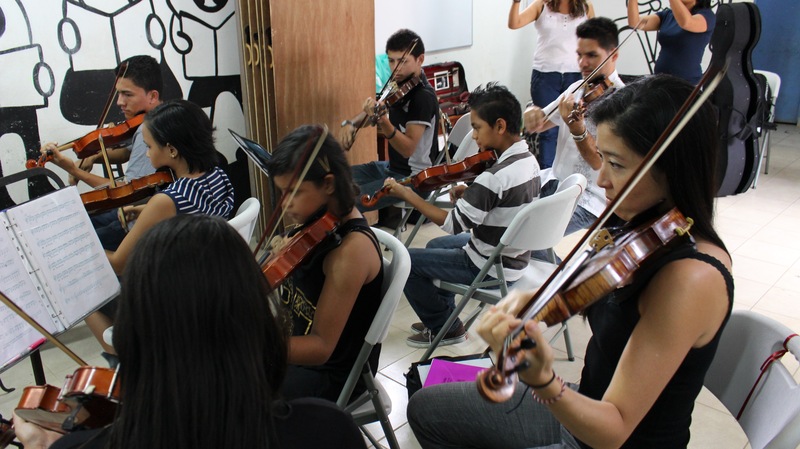 Another stand out moment of tour for me was our visit to Camerata de Luz Sifais, a young orchestra built in one of Costa Rica’s most economically deprived areas. 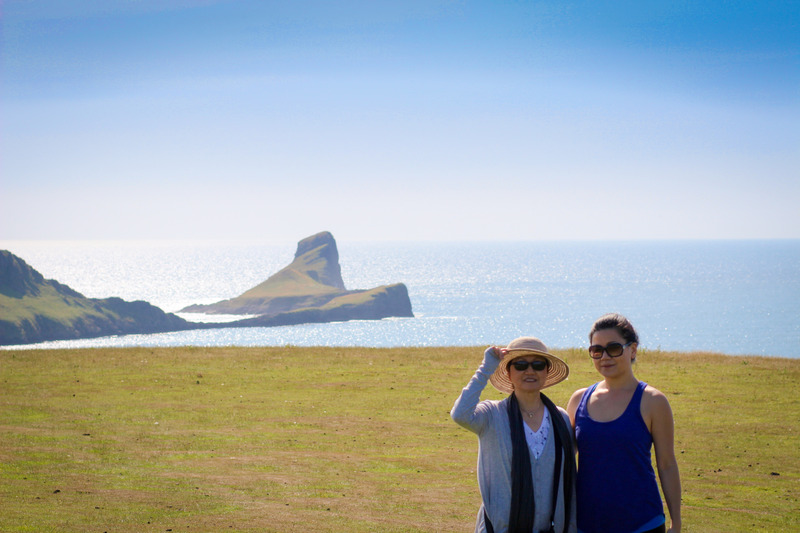 When we mentioned to other Costa Ricans we’d be visiting this area, they cringed with fear. As we drove in, I began to understand where their reactions came from. It was one of the hardest things I’ve ever witnessed, a quick glimpse into how this community lives, but these overwhelming feelings were soon replaced as we entered the school, and heard the students playing as a part of the ensemble. The program was started in recent years by 21 year old Andrei Montero Cascante, a truly impressive and inspirational individual. Andrei has built an incredible program, which has absolutely given some of these students a new direction in their lives. It was incredible to witness first hand the power of access to music education to change the course of someone’s life. I look forward to the opportunity to revisit this school and community, as well as all of the communities we visited! My recent trip to Costa Rica performing with Sound Impact surpassed all of my expectations. 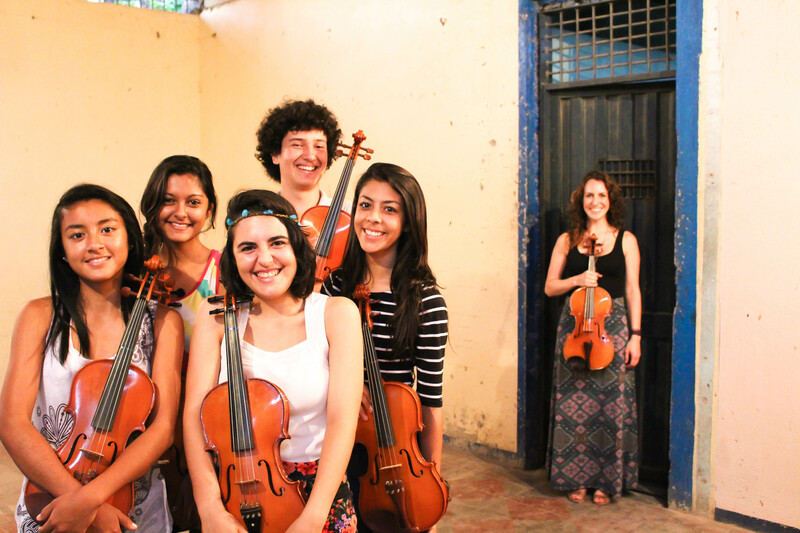 This group of musicians committed to a noble cause and with a clear idea of the mission of the organization, helped bring music instruction, books, accessories and moving performances to underprivileged schools in my home country Costa Rica. I could not help but to think and remember people who had made a difference in my own life growing up and studying music in Costa Rica. One of those mentors was Aline Benoit, a clarinetist in the Boston Symphony who came to teach us. I was only 10 years old when I met Aline. She helped me get my first Rose étude book and a working clarinet mouthpiece. Aline and I could barely communicate those days because of our language barriers. However, this difference did not detract from her determination to help us. I will forever be grateful to Aline for her dedicated effort to teaching us and help create a way in which we could evolve. Many years after that initial encounter with Aline, during my studies at the Tanglewood Music Center, Aline attended a TMC concert and noticed my name and home country listed in the program. She immediately arranged to meet in person. I had not seen her in many years but as soon as we met, we embraced and she let me know how proud she was of my accomplishments. I could only think about how much I love this person who had filled me with inspiration and motivation to learn and love music. 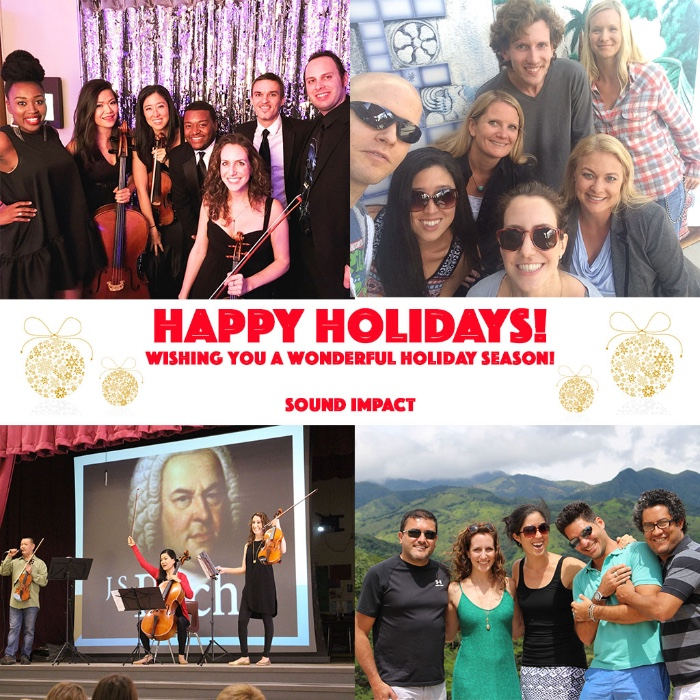 Sound Impact’s Project CR 2015 provided a way for me to be in the same position as my mentor Aline Benoit to make a difference in many young music student’ lives in Costa Rica. I always wanted to visit Costa Rica. In my imagination, a place without an army and filled with volcanos, marvelous beaches, wonderful landscapes and exquisite coffee sounded really good. Therefore I was extremely excited when I received the call from my childhood friend Juan to invite me on a tour throughout the country. During the many hours of travel to several cities where we performed I could enjoy a country that actually is more beautiful than I thought before. However, it was the people which I enjoyed the most. 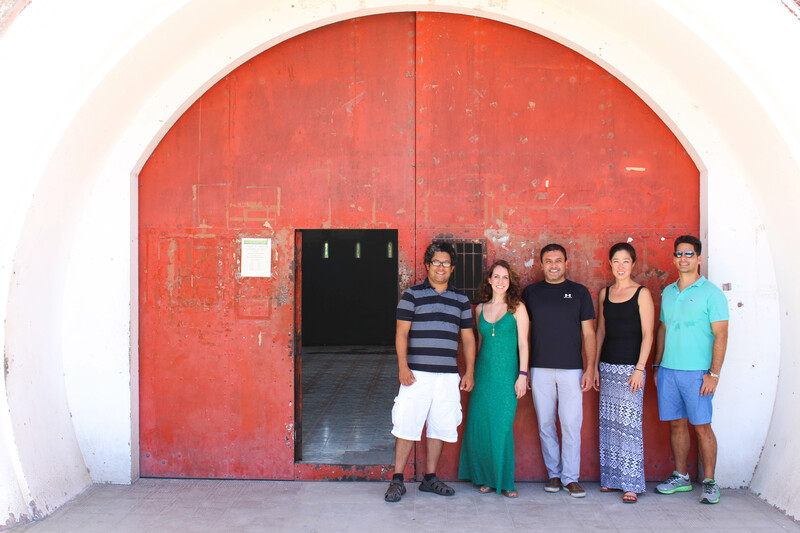 I was lucky to have two wonderful Costa Ricans as fellow team members, Elizandro and Diego. They showed me how serious at work Costa Ricans can be while at the same time being extremely easygoing and humorous in the day to day relationship. 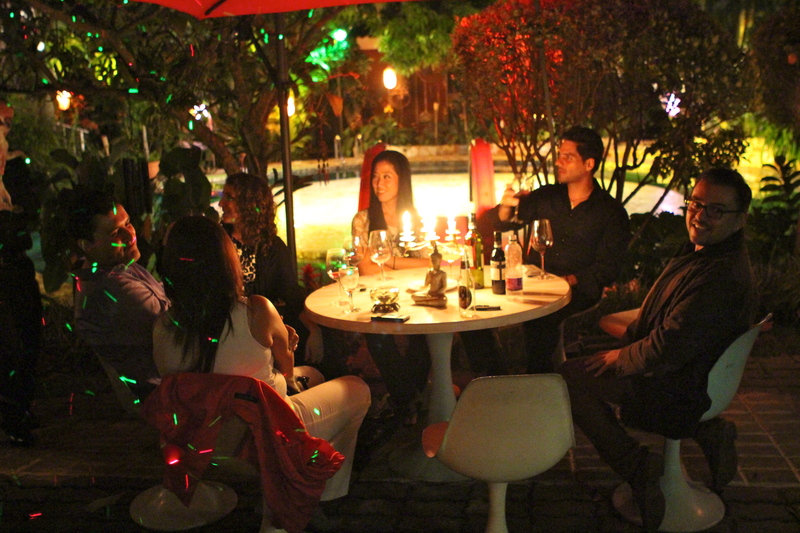 I could also enjoy the wonderful hospitality of some Costa Rican houses that provided me much more than I needed. The students were warm and so eager to listen and learn at every place we went; it was very stimulating to have such an audience for our concerts! If I add then that I was sharing with one of the more enjoyable teams I have worked with in terms of the mission, the professional quality of the work and the warmth of the relationship, I have to say that this was one of the more complete and fulfilling experiences I have had in my life as a musician. I am really grateful for the opportunity Sound Impact and the organizing Costa Rican institutions gave me to be a part of this project. I just hope I can do it again. Only six weeks remain till Project Costa Rica 2015 and emails are flying concerning the many details needed to complete the pre-production aspects of tour. Thanks to the support of MANY individuals, we have the great privilege to forge new friendships but also to continue the many relationships that started on our first tour last summer. In addition to performing, teaching, and distributing much needed musical supplies and instruments, this trip will culminate in a cross-cultural, collaborative performance. 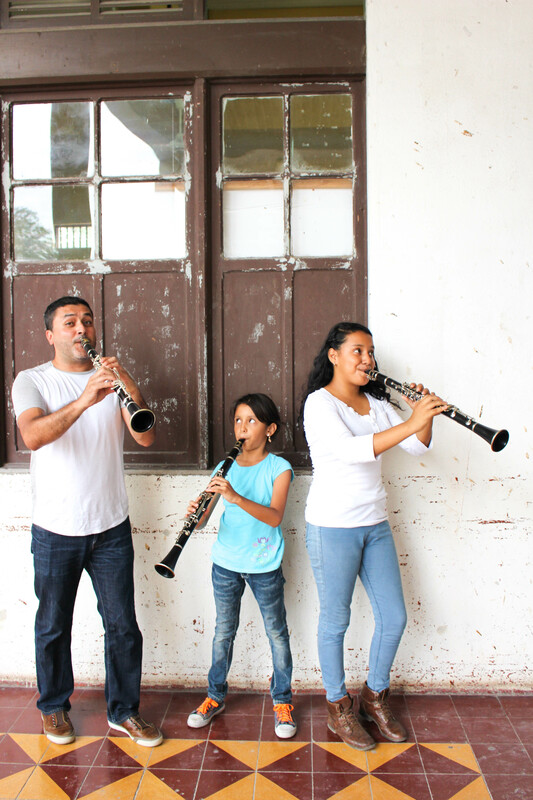 One of the beautiful aspects of this project is the dear and personal connections made through our team member and clarinetist, Elizandro Garcia Montoya, who grew up in Costa Rica. Most of the school directors are his close friends and family members that have made the year round commitment of changing the lives of hundreds of children. Another connection made on tour last year was through the master producer and manager, Mercedes Sanchez. 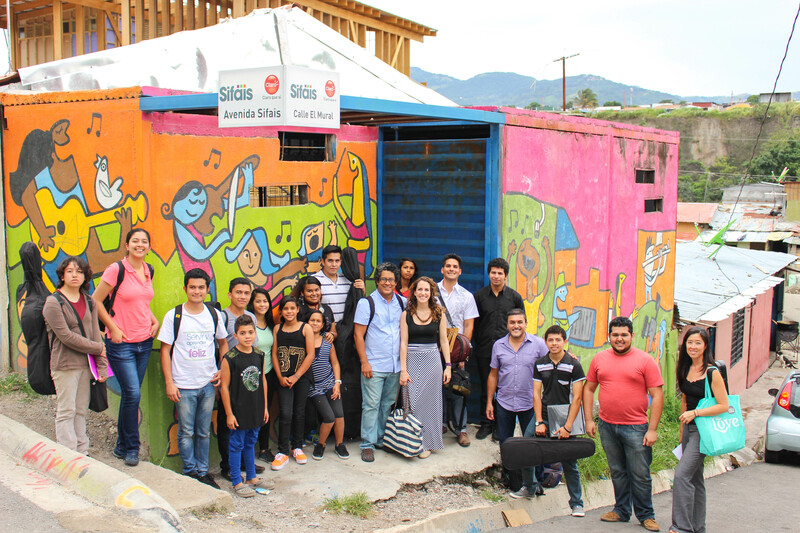 Our 2015 tour will culminate in a collaborative concert on Saturday September 5th with renowned Costa Rican visual artist Cali Rivera and the students of SINEM Desamparados. Inspired by Cali’s exhibit, the title of our concert is Un Camino Hacia La Paz (A Road to Peace). The youth orchestra and Sound Impact will perform and surrounding us on stage will be eight grand Prayer Flags by Cali Rivera. We feel honored to share the stage with Cali Rivera! During the year 2009 Mr. Rivera was an intern at San Pedro la Laguna, Guatemala conducting a study on Lake Atitlan where he lived and became involved with the community with the desire to make a social contribution to art through her. Among other things, Rivera created the “Corpus Christi Banners” a collection exhibited at a fellowship between Japan and Costa Rica, and the “Cross of San Pedro”, a symbolic work for the protection of Lake Atitlan. These works based on assemblies of textile and painted “güipiles”, were part of his creative process in 2009 and in 2010 got him the 1st Prize of the Red Textil Iberoamericana (Iberoamerican Textile Network). http://redtextilia.org. 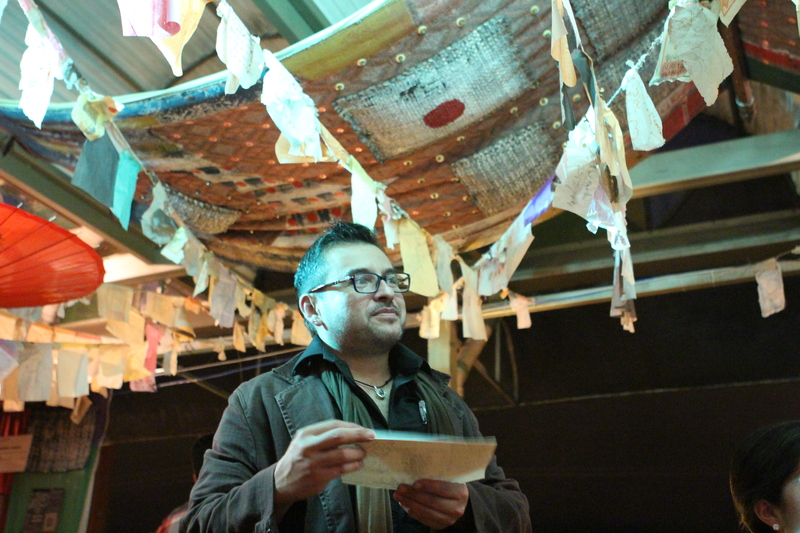 With his work “Song of Freedom” Cali Rivera participated in the International Triennial V “Tradition and Innovation” – DIVERSITY & UNITY in the Museum of Decorative Arts and Design, in the city of Riga, Latvia, held in April 2015. His work was worthy of an honor mention and selected to be reproduced in a giantography that was placed in front of the museum greeting the visitors. 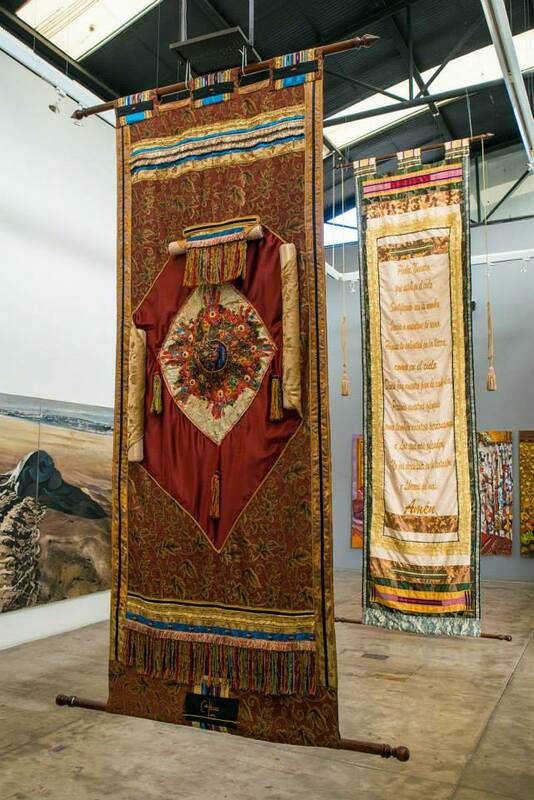 At the same time, the rest of the series named Religious Syncretism, a path to Peace was exposed at the Central Museum of Textile Art Lotz, Poland, this time in an individual exhibit. “Cali Rivera’s proposal has been developed through a long process where his figurative language and abstraction have joined hands to communicate the concepts behind his work. 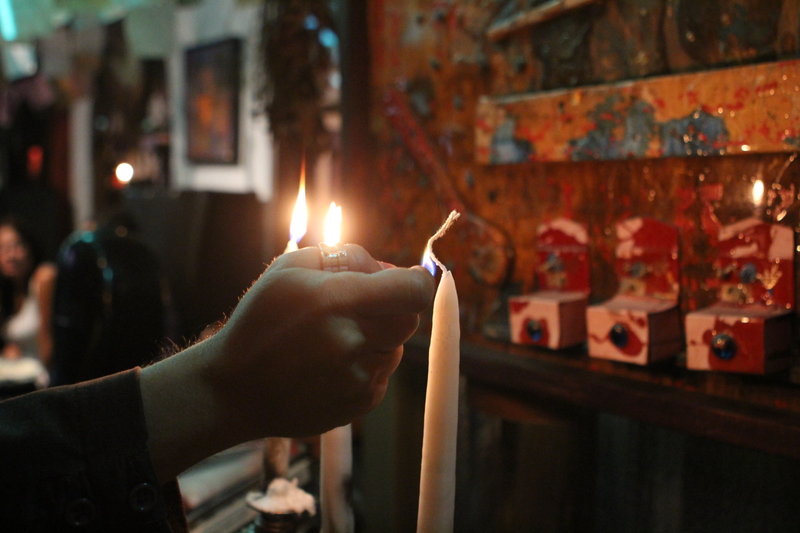 The search for spirituality and the balance of beauty are constant concerns of his work. Both its magical characters, adorned and surrounded by elements of nature such as tips abstractions have the same center, a place where the individual is in harmony with the universe.“ -Alma Fernandez, Director of the Costa Rican Art Museum.